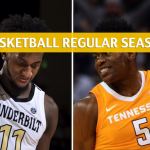 It has been a rough season so far for the Vanderbilt Commodores, but they could boost their March Madness resume if they could beat the No. 21 Kentucky Wildcats this Saturday at home. 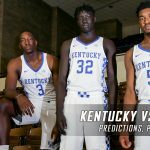 The Wildcats, however, have no plans of getting embarrassed by an unranked foe, let alone by an opponent with only one conference win to date. Register to bet and wager with your pick. 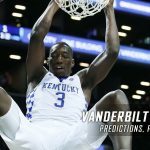 Granted that this season’s version of Kentucky is not as strong as what head coach John Calipari had in previous years, the Wildcats should still be able to take care of business against Vanderbilt, a team that has not beaten a ranked opponent so far this season. Kentucky has won four of its last five meetings with Vanderbilt, including the two times the Wildcats were the road team in that stretch. After losing to No. 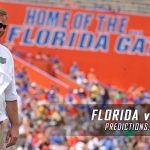 23 Tennessee last week, the No. 21 Wildcats got back in the win column with a close 74-73 win at home over Texas A&M. They are 5-1 SU and 3-3 ATS in their last six road games. 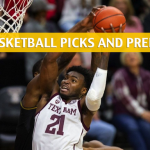 Kentucky guards Hamidou Diallo and Shai Gilgeous-Alexander are going to be huge problems for Vanderbilt. Diallo and Gilgeous-Alexander scored 18 and 16 points, respectively in the win over the Aggies. 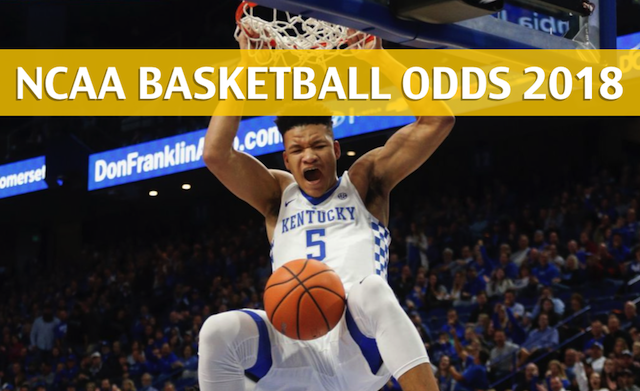 Kentucky starting point guard Quade Green didn’t play against Texas A&M due to a back strain, but if he recovers just in time for Saturday’s game against Commodores, it could spell further trouble for Vanderbilt. Vanderbilt saw its 10-point lead evaporate quickly in the second half of last Tuesday’s 92-84 loss to No. 24 Tennessee at home, but the Commodores will have a good chance to rebound with a date with Kentucky. The Commodores went hot from beyond the arc against the Volunteers, sinking 11 of 22 three-point attempts in that game, albeit in a losing effort. Still, Vanderbilt won’t likely stop jacking up threes every time they have the opportunity. They lead the SEC in three-point attempts with 26.1 per game, knocking down 8.5 on average. The Commodores, however, will have to do better at the free-throw line after going 15 of 22 at the charity stripe versus Tennessee. The tandem of Jeff Roberson and Matthew Fisher-Davis will spearhead Vandy. They are averaging 14.5 and 12.3 points, respectively. Guard Saben Lee, meanwhile, is heating up, as he has averaged 20.3 points over his last three games He had 21 on 7-of-10 shooting against Tennessee. 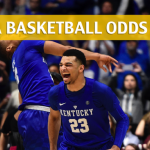 Vanderbilt is 3-1 ATS in its last four games as the home team versus Kentucky.